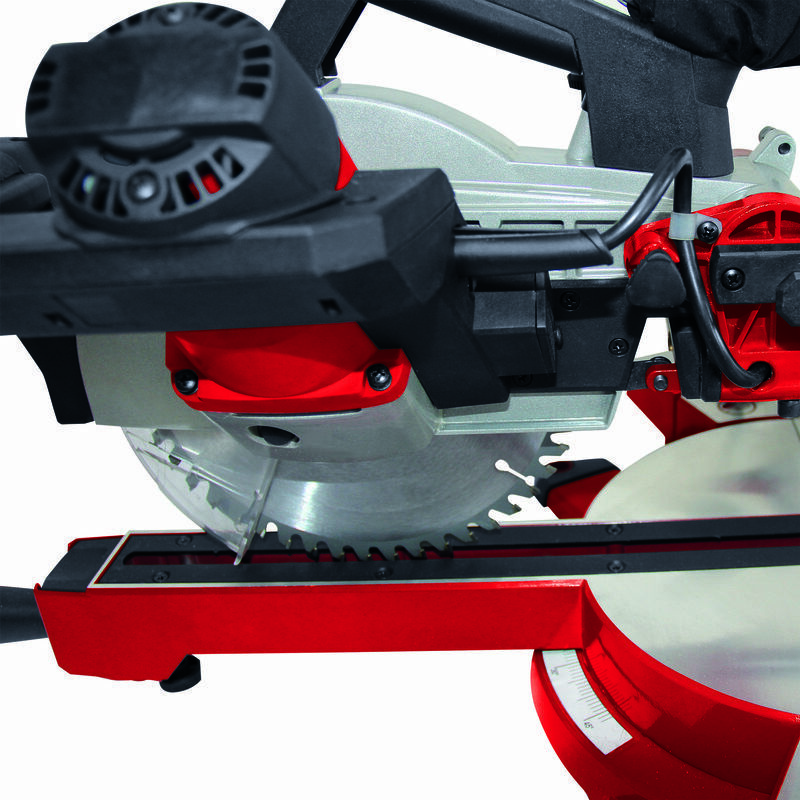 The TE-SM 2534 Dual is an extremely powerful drag, crosscut and miter saw for cutting wood, laminated panels and plastic. 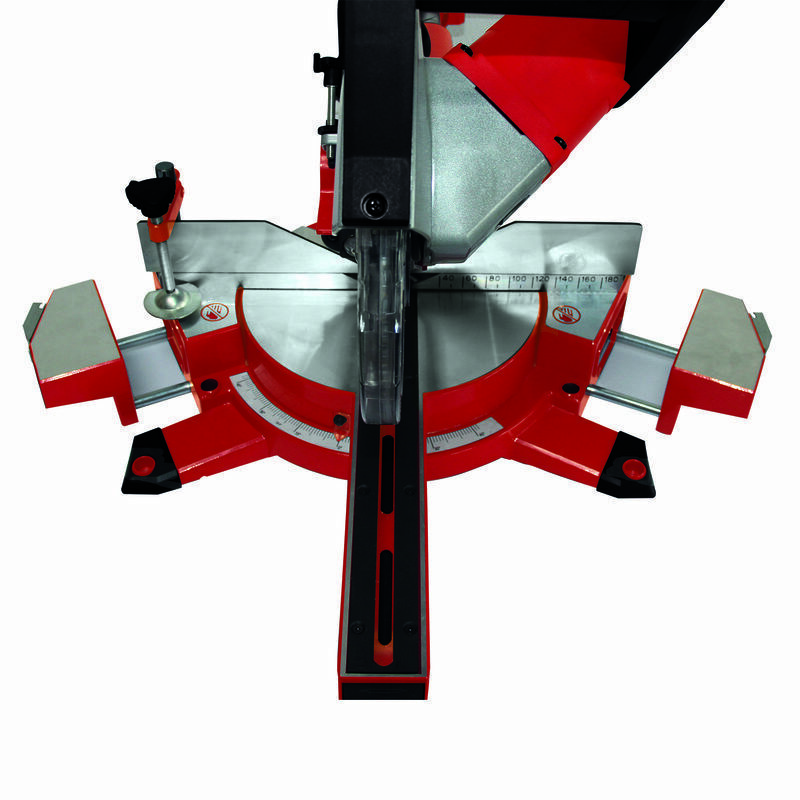 The saw head can be tilted to the left and right for high flexibility in setting miters on two sides in just one operation. 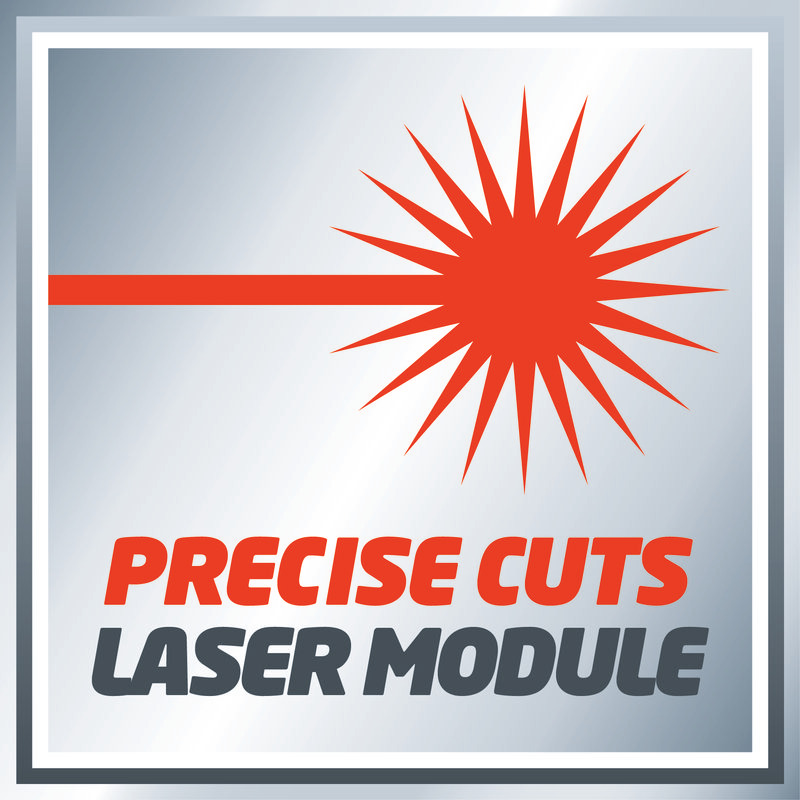 An integrated, mains-powered laser marks the cutting line, enabling the workpiece to be positioned quickly and exactly. 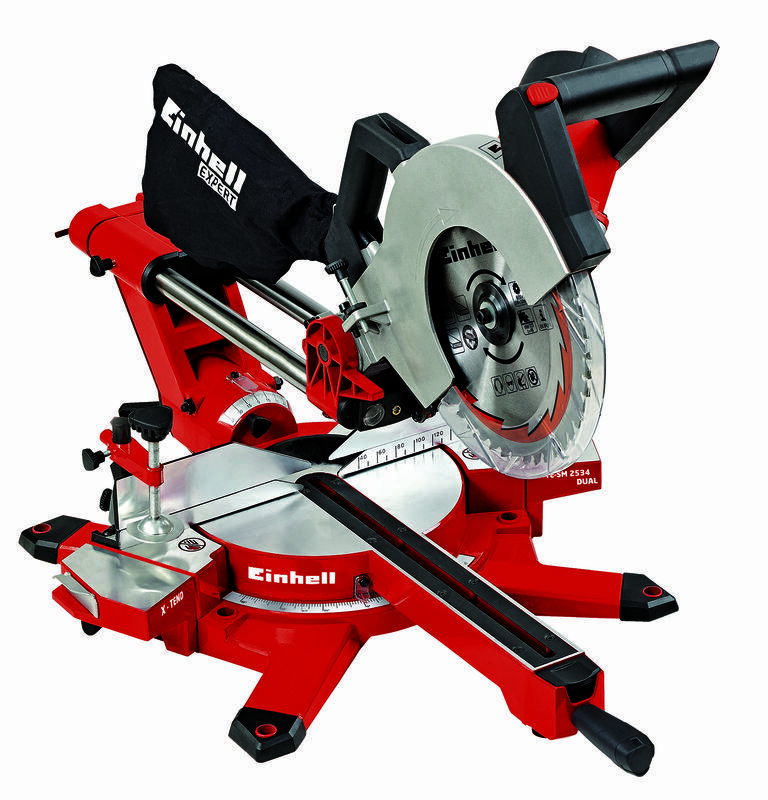 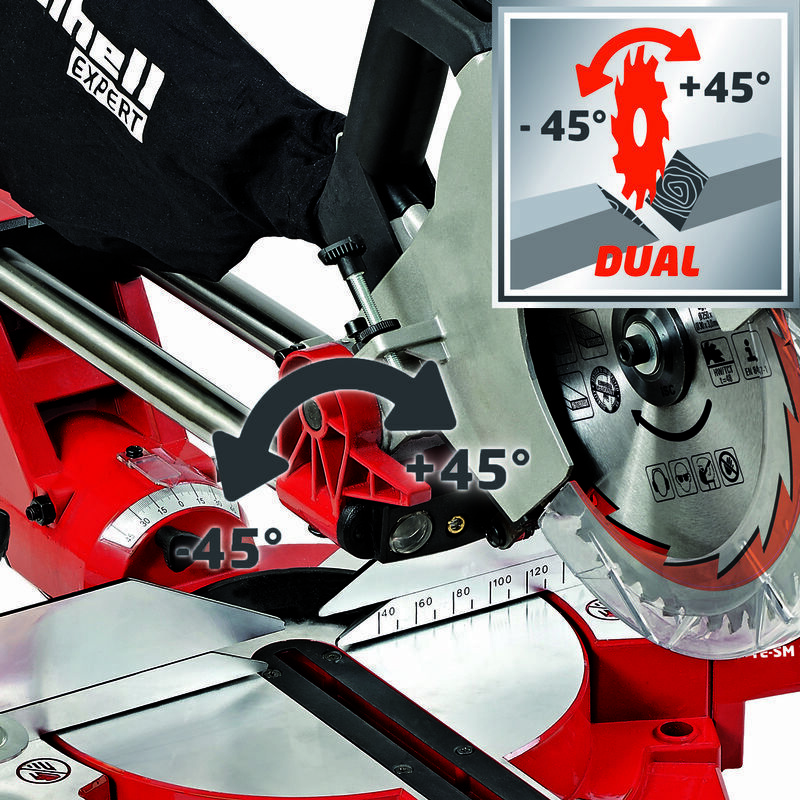 The high-quality turntable of the TE-SM 2534 Dual drag, crosscut and miter saw comes with an exact angle adjustment facility for angular cuts that can be infinitely adjusted and latched in a variety of positions single handedly. 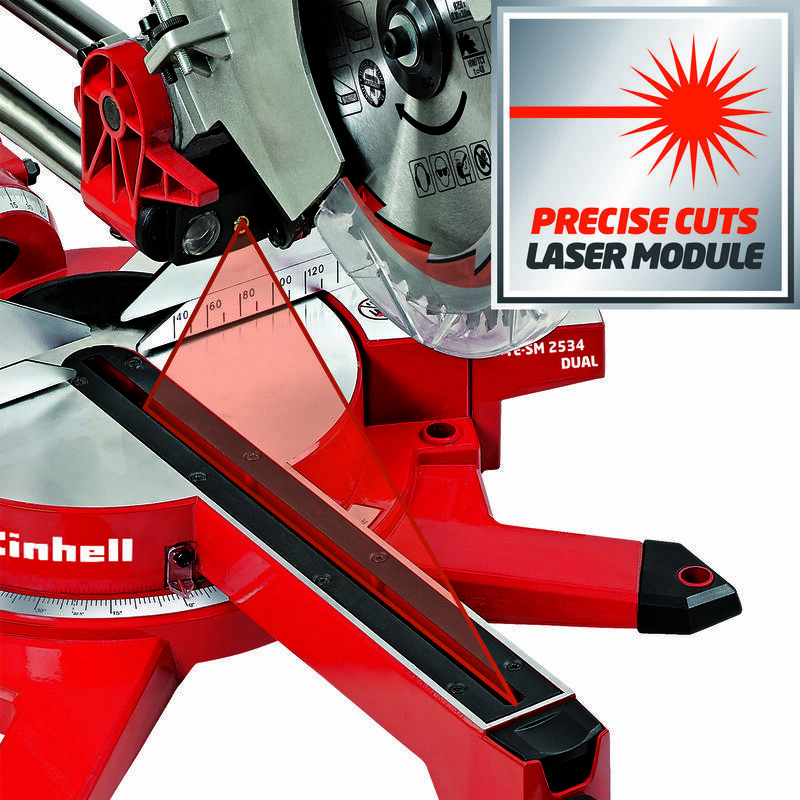 The integrated drag function enables you to cut particularly wide workpieces. 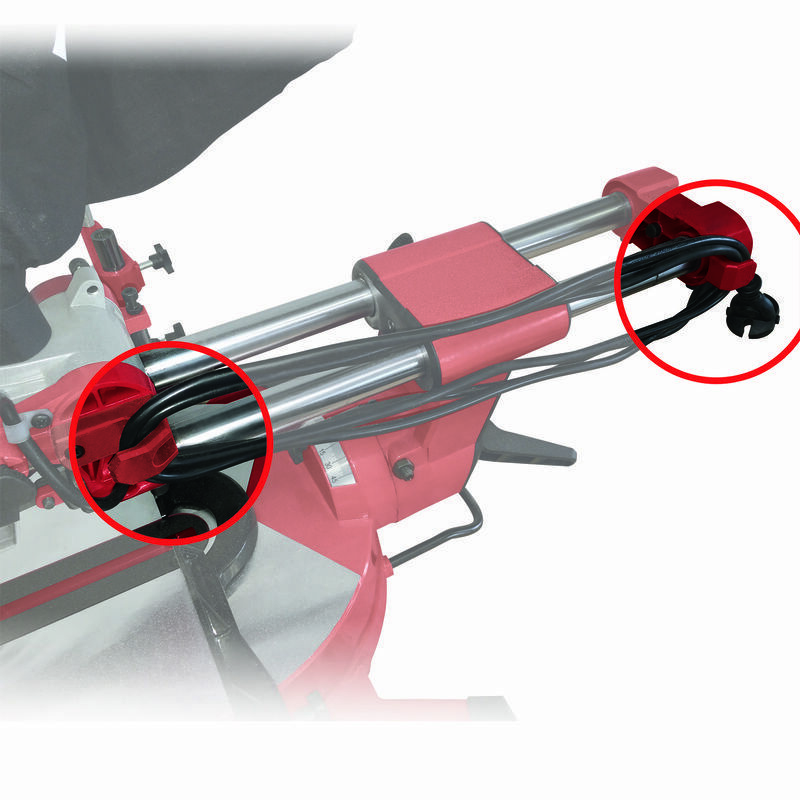 X-Tend work supports with ergonomic single-hand operation, a clamping device for reliable securing of the workpiece and a workpiece stop with rails that adjust to the left and right enable safe, precise operation. 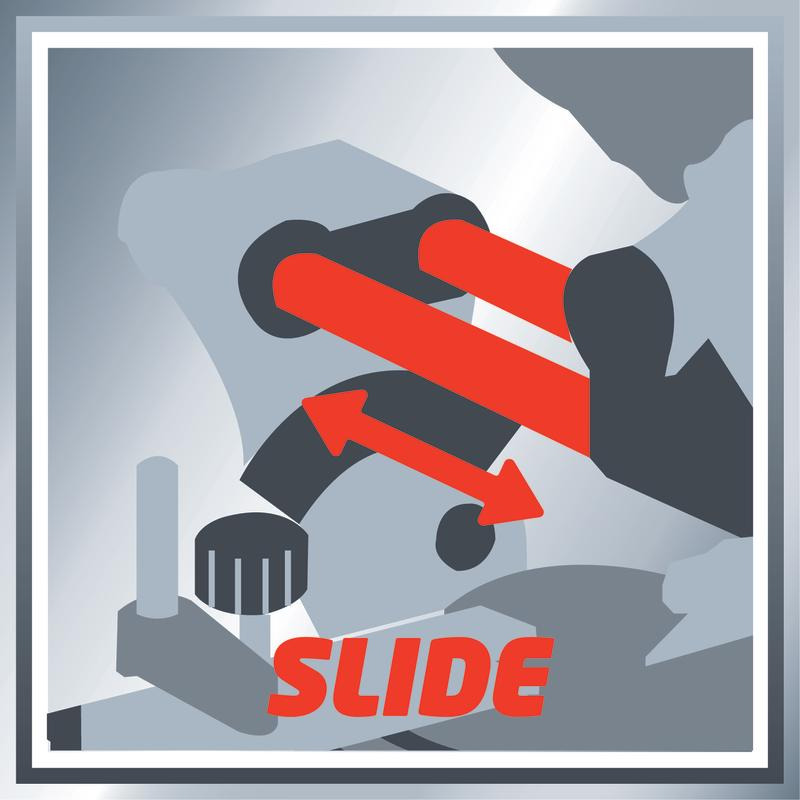 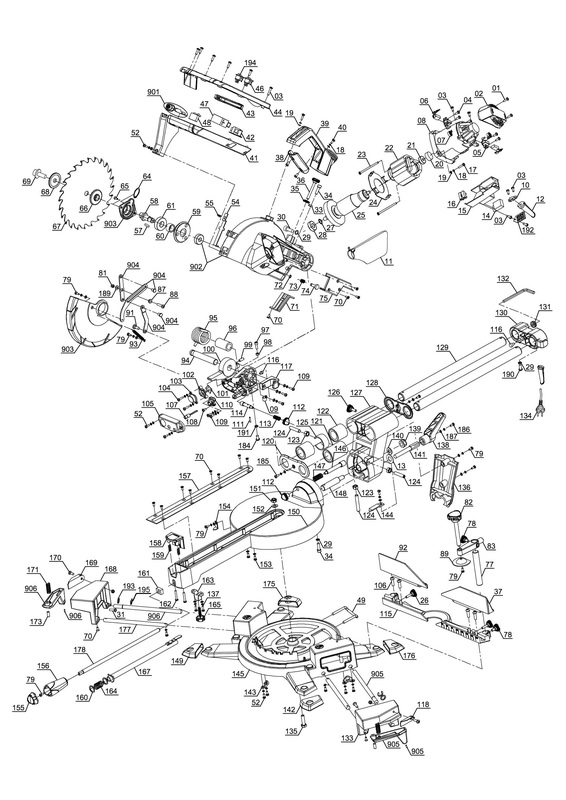 The integrated limit stop allows simple and precise repeat cutting. 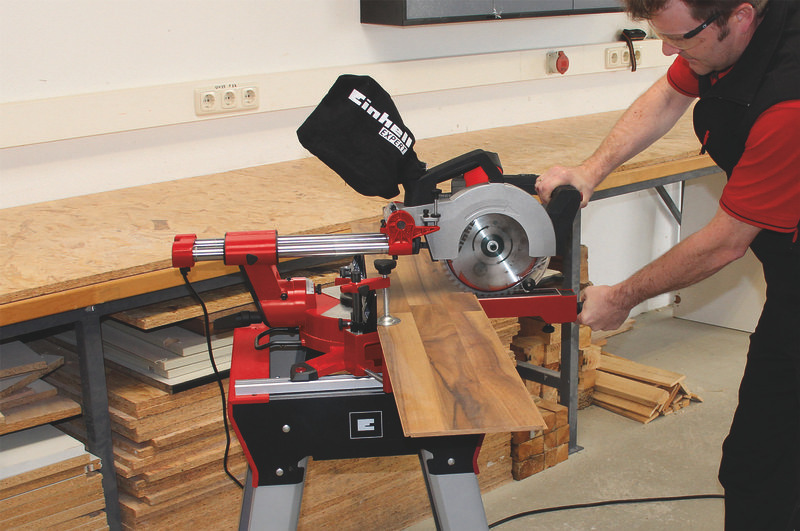 The integrated LED light offers optimal illumination of the workpiece at all times, while the soft start ensures a gentle, user-friendly start. 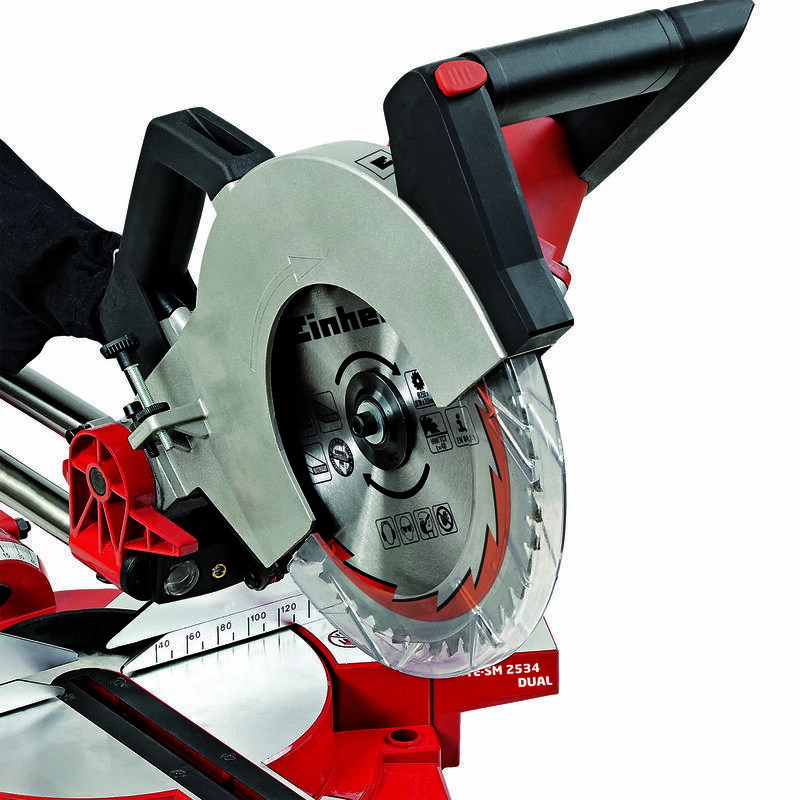 The high-grade carbide-tipped precision saw blade guarantees clean, powerful cutting. 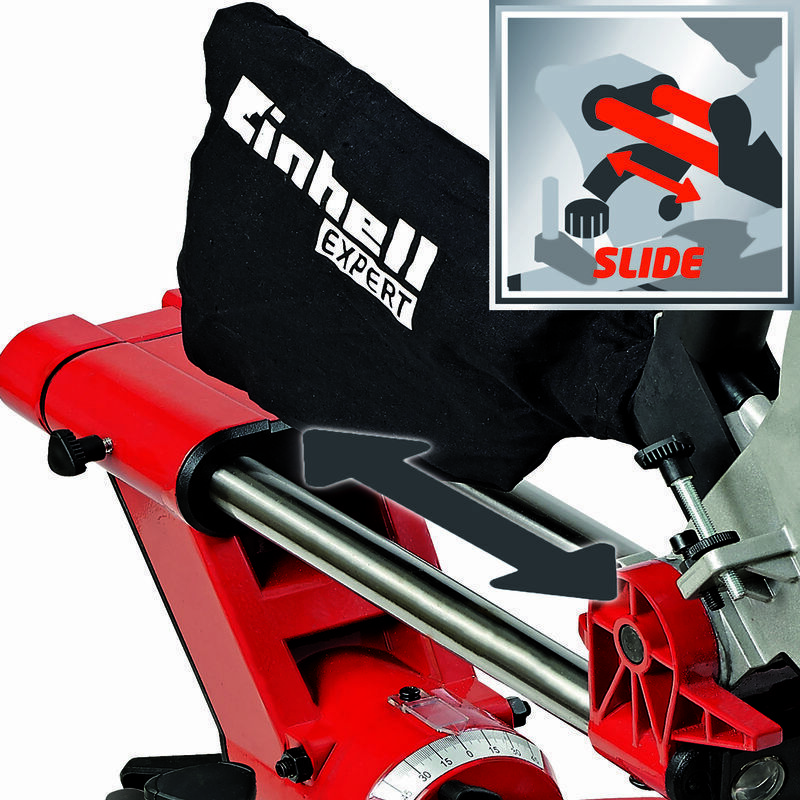 A sawdust bag keeps the workplace clean. 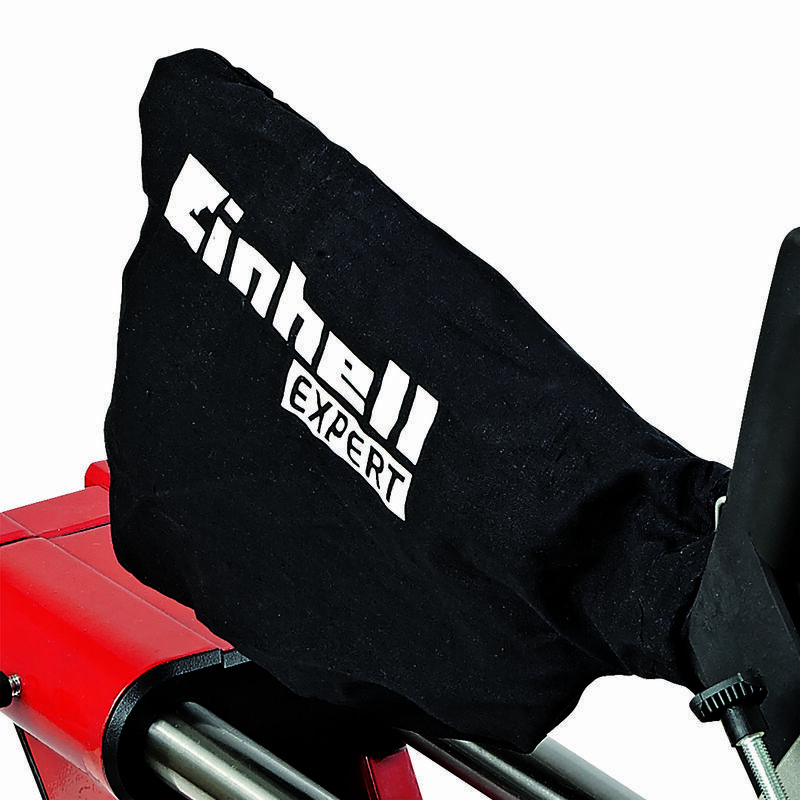 It is then easy to store the power lead safely on the integrated cable holder. 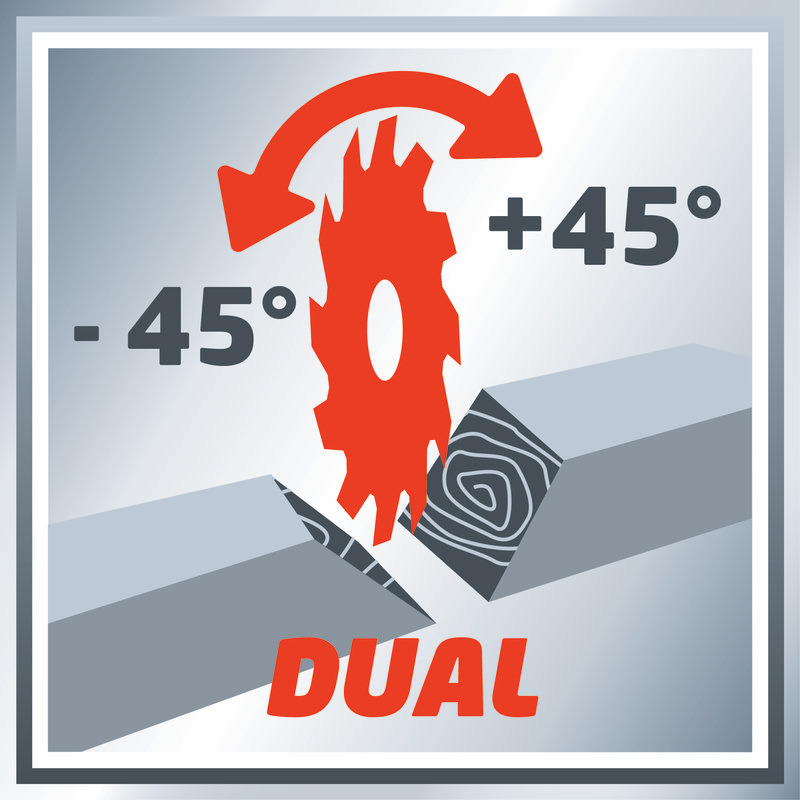 A transport brace is provided for easy and safe mobility.